Entry filed under: Advertisements, Communication, E-commerce. Tags: advertisement, Amazon, books, children, e-commerce, electronics, Flipkart, humor, Online Shopping. Thanks for the e-trade ads, totally cool stuff. Think the humour in these might not work as well in India though. Adding the links to the e-trade ads to our post though, and on facebook, they are to cool for me to ignore ! i like the flipkart ads as well and more interestingly from everything i have heard and read they are doing a rather good job. Good to see a comment from you. Keep reading the blog and please keep commenting, disagreement is welcome too, and extra information will even be applauded. We thoroughly enjoy hearing different points of view and getting into an involved discussion. 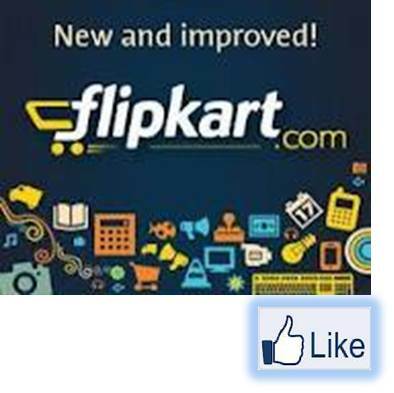 We are going to post something related to the flipkart ads tomorrow, so definitely visit again – in fact, that update is information from one of the comments we got (part of the reason that we like receiving comments). Agree with you – they seem to be doing rather a good job overall, have heard hardly any cribs about them, even though multiple friends use their services. Glad you like what we’ve been writing on our blog and thanks for subscribing. I do not like to use kids who are used to kid for you advert purpose. not at all funny. Silly and to make them perform adult roles which only emphasize your bias and streotype adult relatioships is in very bad taste.let kids be kids. Thanks for sharing your views with us and other readers. Do keep reading the blog and commenting, it’s interesting to hear from those with different points of view.